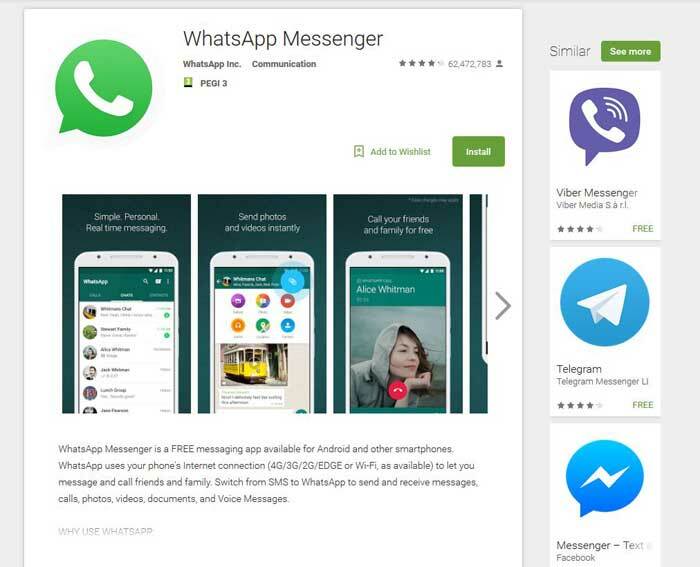 Before solving the question related to downloading WhatsApp for Android for next using on any contemporary Android device, let’s explain the definition of the app. WhatsApp is a modern platform allowing the users to exchange messages, make a video and phone calls on one device. It is absolutely compatible with iOS, Windows Phone, BlackBerry, Symbian and, of course, Android. It was first released in 2009 having grown the good reputation and popularity ever since. One of the main privileges of such application is the opportunity to use it on any mobile device the user utilizes. To be able to find the application and start the procedure downloading WhatsApp for Android and installing it on the smartphone, it is recommended to follow simple steps that do not require a lot of time. Jump to the Google Play Market. In case the user doesn’t have the account, it is necessary to create one to continue using the system. Go to the Search Google Play section on the top of the Market. Type the name of the app and click on the appeared application. 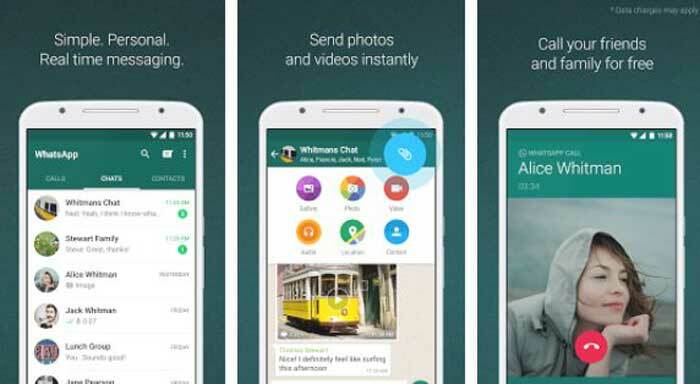 Open WhatsApp and start installing it on the device by clicking green button. When the app is finally installed, it is necessary to open it and carefully follow the instructions given by it in order to create personal account, provide phone number and successfully finish the phone number verification. This way of installing the application is very helpful in case the customer would like to install WhatsApp on tablet or any other similar device. In this case, it is impossible to download WhatsApp from Google Play Market as it says it is not compatible with the device. Therefore, there is an .apk file on the official website of the developer. Use the web browser and go to the official website of WhatsApp, the Android section. Download the latest version of the app by clicking big green button. In most cases, there is a problem occurring when downloading an .apk file on any android device – it will not install unless the device is allowed to install the applications from “Unknown sources”. To be able to solve this issue, the user needs to go to the settings of the tablet or any other device, select security and “Unknown sources” button. Install WhatsApp and create personal profile following the instructions given in the app.